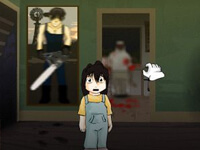 Description: A horror game created by sinthai studio. Note: This game is not for people who have heart failures and easy to scared.. The Halloween is a Scary Games. Instructions: Use The Mouse To Interact. Click it faster or rapidly..